I love that City Side Walk can be used in several different ways because Christmas. This wonderful lay9out is a snow or outside layout. This paper has many wonderful patterns in the pack and can be used for all of the different holiday celebrations! From Hanaka to getting your Christmas Tree, from Christmas Morning to a trip to New York City to see the sites, or a road trip to relatives, City Side Walks is it. This paper pack and matching embellishments/stamps will only be available through December 31, 2016 when the Holiday Expressions retires! The Workshop Your Way has directions you can download to make three layouts and the above cards! Cyber Monday is Cricut Crazy in 3.5 hours!! CTMH Cyber Monday Special starts in 3.5 hours at 12:00 midnight!! Do you SEE this? Purchase $30.00 of product and you can purchase one of CTMH’s Exclusive Cricut Collections for 30% off!! Wowzers! Best deal EVER that I’ve seen on our Cricut Cartridges. Make your list now of the ones you need and the ones you need for gifts. You’ll love having these awesome cartridges and your friends will love you for theirs! What a great way to say thank you to our awesome customers. While I have to admit, I’m in the dark as you are about what the special is for Cyber Monday, I know it will be good. Be sure you are in my customer FB group to see the special fun just for my customers!! Join Now! Take care and I hope you are having a wonderful Thanksgiving weekend with your family and friends!! Black, Pink…it’s FRIDAY and the deals are on!! Do you LOOOOVE getting a great deal on crafting supplies to add to your stash? For Black Friday this year, you’ll have the opportunity to get even more crafting supplies at an fantastic price with Close To My Heart! 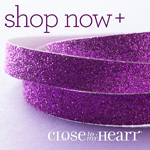 For 24 hours only, Close to My Heart will feature themed mystery boxes filled with retired Close To My Heart products, all at a major discount! These mystery boxes will have five different price points ranging from $35 to $150, with some mystery boxes being offered at 50% off the retail value! All mystery boxes will be available beginning November 25, 2016 at 12:00 am (MST) while supplies last—so grab a box (or BOXES) for your stash before they’re gone! Remember that $100 quarterly giveaway I do? We’ll sweeten the deal and have a Black Friday drawing as well! Only every $50.00 you spend, you’ll get an entry!! Purchase a $50 Box (valued at $90) – Get 1 entry; Buy 2 and get 2 entries and so on. Purchase a $115 Box (valued at $235) – Buy 1 and get 2 entries. Buy 2 and get 4 entries. Purchase a $150 Box (valued at $335) – Buy 1 and get 3 entries. Buy 2 and get 6 entries. With Perfectly Posh we don’t have Black Friday, we have PINK Friday! The PINK FRIDAY deals are a mystery to me as well!! lots of good stuff going on so get your stocking stuffers now!! You can win $100 of free Posh by ordering through November 30th, 2016. This is a great deal and every day has been different. Today is Buy TerraZyme and get PB Assist for FREE. I can’t say enough good things about these products. They have been a key player in calming down the IBS/Ulceric Colitis and keeping it under control. Have someone in your family with gastric distress that haunts everyone in the room? Have them start taking TerraZyme with their meals. It will help the situation greatly. =) The PB Assist is the best probiotic I’ve tried and I’ve tried a lot. You can check in through my Linda Creates Special Peeps Group to find more (customers only please). Lastly, do you want to win an one hour massage?? Come to our Last Minute Stop and Shop on Saturday, Dec 3 from 12pm to 4pm. It will be held at my house. We have lots of door prizes, food, and fun. Love to have you join us. Please share the event with your friends and family. We’ll have cash and carry. You’ll be able to place last minute orders. Happy Thanksgiving…I give thanks to you! Have a blessed Thanksgiving day and thank you so much for being my customer!! Don’t miss out on the City Sidewalk Cricut Digital Collection! Keep watching for more City Sidewalk Cricut art! Thanks for stopping by. Here’s some information about White Fir, which you would get free! These are great for diffuser mixes as well to give your house the pine scent if you have an artificial tree! BOGO is a great way to try out new things. Find you have other questions about how Essential Oils can be used? Just contact me. Happy to answer your questions. They’ve been amazing for me. You can ready my story here. Enjoy! Dec 3 Stop And Shop – Win a Free Massage!! Who doesn’t want a free massage with the upcoming holidays? You can win one by joining our Last Minute Stop and Shop. Support your local small businesses and get your holiday shopping done. By shopping with us, you will be entered into a drawing for a 60 minute massage at Massage Envy! Yahooo!! There will be door prizes from each vendor valuing $25.00 each! Please share this flyer with your friends and family so they too, can take advantage of our Last Minute Stop and Shop! For this year’s Black Friday special, we’ll be offering themed mystery boxes of retired products available at deep discounts. You will be able to choose from a variety of mystery boxes designated for scrapbooking, cardmaking, or both! There will be five different price points ranging from $35 USD/$55 CAD all the way up to $150 USD/$160 CAD, with some of these boxes being offered at 50% off the retail value! This special offer will only be available for 24 hours, beginning at 12:00 am (MST) on Friday, November 25, and ending at 11:59 pm. The mystery boxes will only be available while supplies last. Get more information by reviewing our Black Friday Surprise Stash FAQ, which will be posted on the Constant Campaigns page in Online Office on Friday, November 18. There you will also find a fun, shareable image to use in promoting the special. The Happy, Happy Christmas Campaign features a workshop designed to help you have a happy, happy Christmas! We have made this workshop to help you create not only a beautiful Christmas album, just in time for the holiday season, but also to give you the materials to create four additional items that would make beautiful holiday gifts! It’s like getting five amazing projects all in one workshop! During November, save over 10% off the retail value when you purchase one of the 12″ × 12″ album bundles (CC1179 and CC1180) for only $69.95 each! This bundle includes an exclusive guide to walk you through the steps of assembling five beautiful 2-page layouts. Add on additional items to make additional projects with your leftover materials, too! Review the campaign materials below for complete campaign details! Framed chalkboard with magnetic surface. Sawtooth hangers on back. Interior dimensions: 14½″ × 12″. Unique display for a favorite 12″ × 12″ cut-up scrapbook page. Wooden, includes hangers; 13″ × 13¼″ × 1″; Black. 5″ × 7″ fold-out wood tray with divided sections. Dates: Thin Cuts offer for customers (separate sets) valid through July 2017, while supplies last. Ready for the holiday season? City Side Walks will take you there! The bright colors make the paper festive and fun. The compliments add another level of versatility. And look at this awesome Cricut Digital Pack you can get for $ and it goes with the paper pack. Another way to get your cards, scrapbooks, and paper crafting done! Get ready to toast in the New Year with this stamp set. Because there is not a date in this set, you’ll be able to use it over and over again. The champagne glass and martini glass lend to any celebration, girls’ night out, or other events, like a retirement. The “You’re Invited” stamp is basic and goes with everything. This is a great, all-purpose stamp set. Stamp images outlined in red coordinate with the Cricut® Flower Market collection (Z3285).